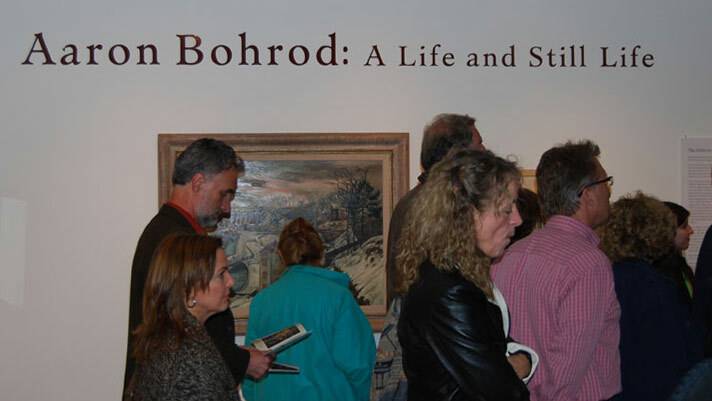 Aaron Bohrod: A Life and Still Life celebrates both the birth centenary of an important Wisconsin artist and his connection to community. Aaron Bohrod’s life and career left a rich legacy in terms of a body of distinguished work and in the relationships he had with those who collected his art. He was a popular artist with a prodigious output that included paintings, drawings, prints, murals and ceramics. Bohrod’s art was reproduced in many forms, including covers of Time magazine. He reached a wide audience both with his art and person-to-person as artist in residence at the University of Wisconsin–Madison. 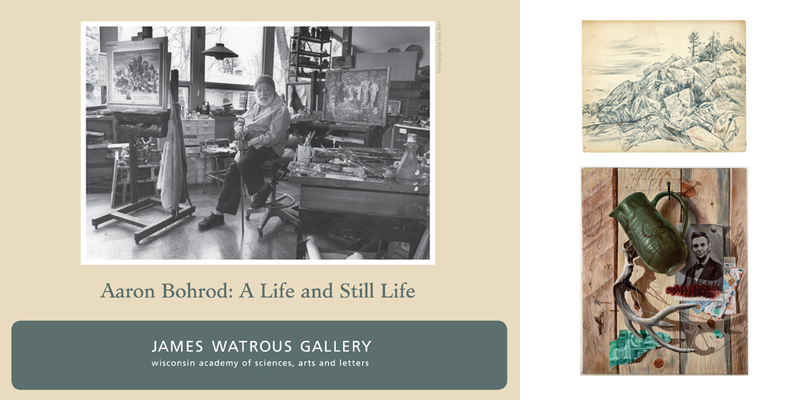 This exhibition celebrates Aaron Bohrod’s creativity, his place in community, and his connection to the Wisconsin Academy of Sciences, Arts and Letters. He was elected a Fellow of the Academy in 1984 and contributed art to Academy publications many times throughout the years. Aaron Bohrod’s legacy continues to reward viewers of his art, especially in his still life paintings, where he mixed Old Master imagery and high art technique with bits of popular culture in a unique and accessible way. He made paintings that are playful adventures for the eye to be enjoyed by anyone with a visual curiosity. Bohrod’s generous creative spirit is a gift to us today. Friday, November 2, Opening reception, 5:30-7:30 pm with gallery talk at 6:30 pm by Robert Cozzolino, Curator at the Pennsylvania Academy of the Fine Arts, Philadelphia. Cozzolino received his PhD in Art History (2006) from the University of Wisconsin–Madison and has a special interest in Chicago and mid-western artists. Tom Lidtke, Executive Director of the Museum of Wisconsin Art, will lecture on Aaron Bohrod’s place in our state’s art history. A birthday party reception will follow the lecture. This event is being held close to what would have been Bohrod’s 100th birthday, November 21.